I was inspired by pinterest to get more creative with my usage of Quinoa. 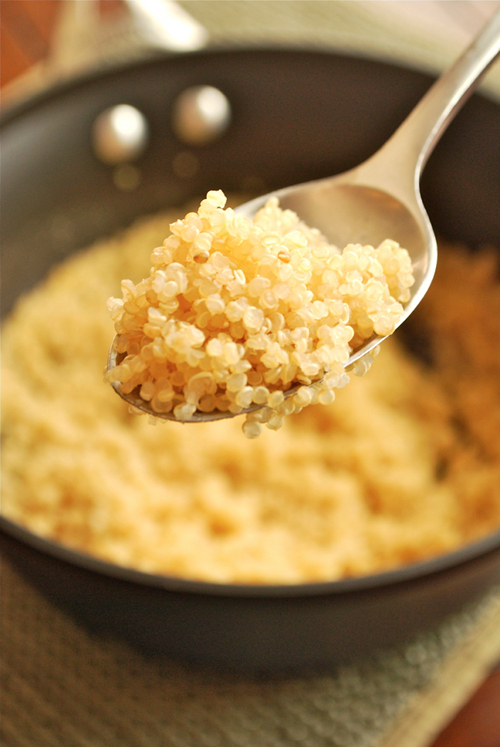 I've been interest in quinoa because of the fact that it is a fulfilling grain with such a light and fun texture. It is a blank canvas, forming easily into any flavor you prefer. I kept finding recipes for patties, burger and cakes using the grain with or in total replacement of meat. I had never seen quinoa used as the protein replacer I have a recipe with the same general concept for meatless meatloaf but it uses lentils vs quinoa. After reading raving reviews about its placement at the center stage of the meal, I had to give it a go! These may sound and look strange but they are sure to fill you up with their satisfying unique taste. This is truly more of an outline than a recipe (as most of my "recipes" are), so have fun and mix it up! If you still feel apprehensive about make patties from a grain just think of it as making crab cakes---minus the crab! (To help them stay in patty form and not fall apart, I cook them on med slowly so they have longer to set-up without burning. Makes them easier to flip, too. Also you can stick them in the fridge for a while so the mixture has time to set up before cooking them.) Heat a frying pan and few tablespoons of oil over medium heat. Mixture will be slightly sticky, so using a 1/4 cup measuring cup (or my favorite-a cookie scoop), drop mixture into pan and lightly flatten to 1/2 inch thick. Fry until golden-brown, about 4 minutes on each side. Drain on paper towel. Makes approx. 12 burgers. My personal preference for this delicious meal is serving it with a quick yogurt sauce. Just combine a small container (5 oz) of Greek yogurt with 1-2 Tablespoons of lemon juice, 1 teaspoon of chopped cilantro and 1 teaspoon of chopped parsley. Salt and pepper to taste and serve along side of the cakes. Also I enjoy eating these patties and sauce with a quick little "salsa" by combining equal parts of diced seeded and peeled cucumber and of seeded and peeled diced tomato with a quick squeeze of lemon juice, splash of olive oil and salt and pepper. This whole concoction is great on its own but also could be served hamburger style of a bun with lettuce with the yogurt in place of mayo and the "salsa" serving as the tomato. Along side a simple salad this dish would also shine just as brightly! these look great andrea! Ill have to add them to our menu this week! Thanks!